Before the recipe collection starts we have information pages explaining ingredients and where to get them. The UK isn't the best answer. Tapioca Starch and Corn Syrup are available in some areas from the big supermarkets online ordering, but very difficult to find in person without a specialist shop. These two ingredients appear in every single gelato recipe, so if you are serious about making gelato, you will have to make that commitment. The other commitment is a gelato, or ice cream, maker. Although it's possible to make gelato by repeated regular removal from the freezer and stirring, it's hard work. The recipes contained in The Art Of Making Gelato: 50 Flavours To Make At Home are really very straightforward and simple, the Gelato recipes mainly follow the same basic method and are not particularly tricky. The simplicity is part of their appeal though, because by just altering a couple of things you can create a host of different flavours, and the variety and flavour combinations Morgan Morano includes in her book are just astounding. 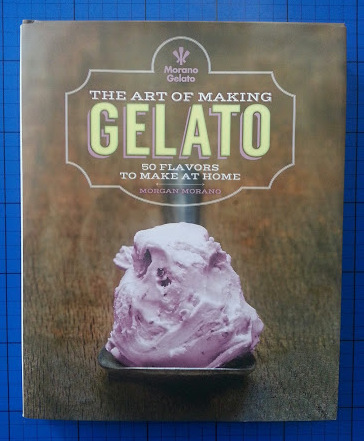 Towards the back of The Art Of Making Gelato is a small section devoted to sorbets. 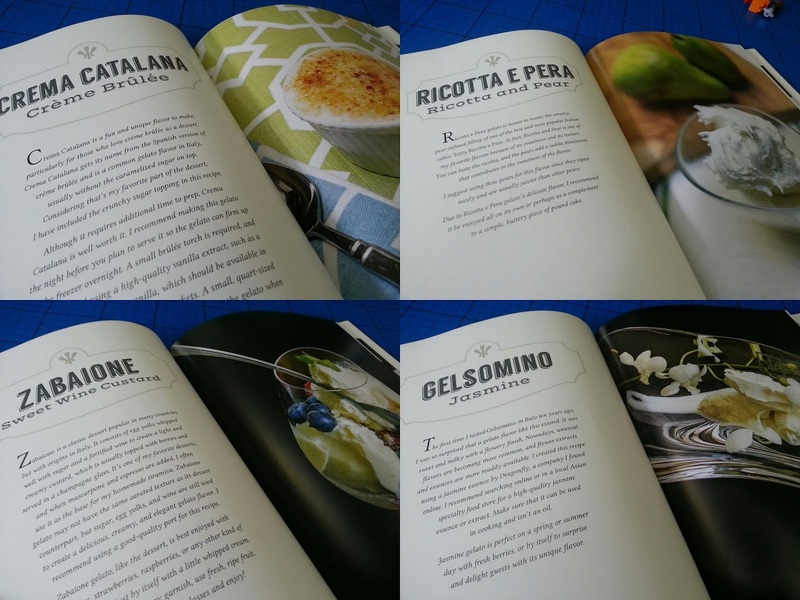 As with the gelato recipes, the sorbet recipes use minimal ingredients and minimal fuss, are nicely laid out and in clear English. This is not a book which anyone with a gelato maker and access to the correct ingredients will find daunting. This is a huge 192 page hardback book full of gorgeous photographs, and beautifully written passages about the history, popularity or geography of different flavours. 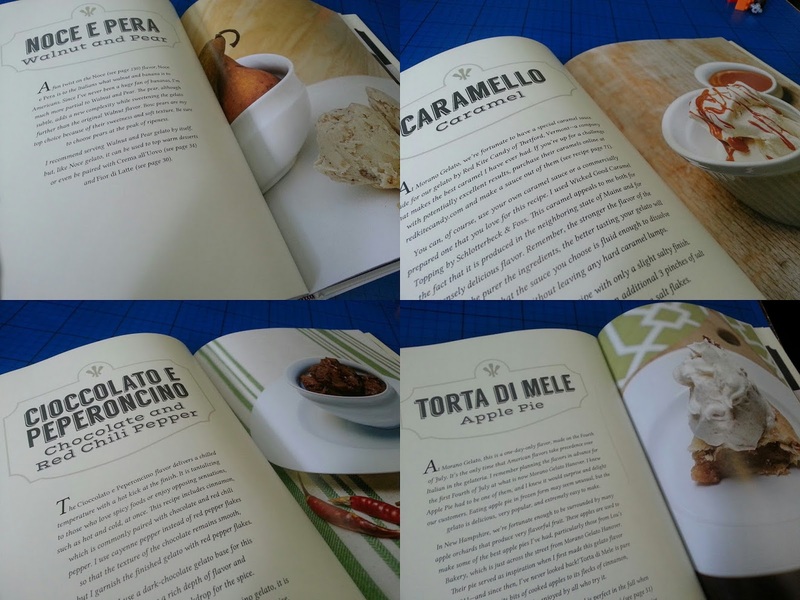 It is a very romantic and peaceful recipe book, which is a delight to browse. 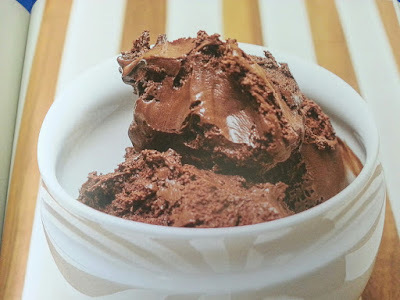 I think that because of the initial commitment The Art Of Making Gelato: 50 Flavours To Make At Home will be likely to appeal mainly to people who are already confident they wish to make gelato regularly. As such it's a brilliant book of ideas and possibilities which will make your mouth water with every page. The Art Of Making Gelato: 50 Flavours To Make At Home has an rrp of £16.00 and is available now. 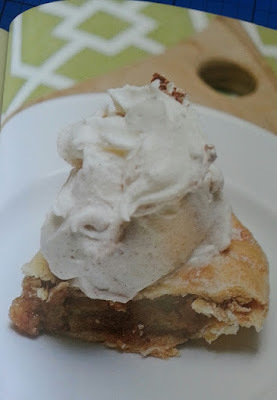 The pictures look so delicious! I would definitely love to make it! Great book!